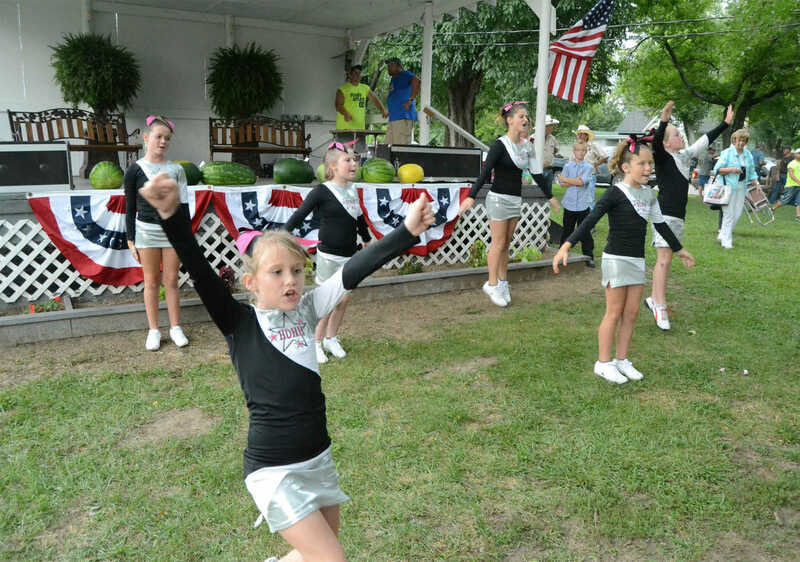 Head over Heals for Hannah give a show before the watermelon auction at the Sheldon Old Settlers Picnic. 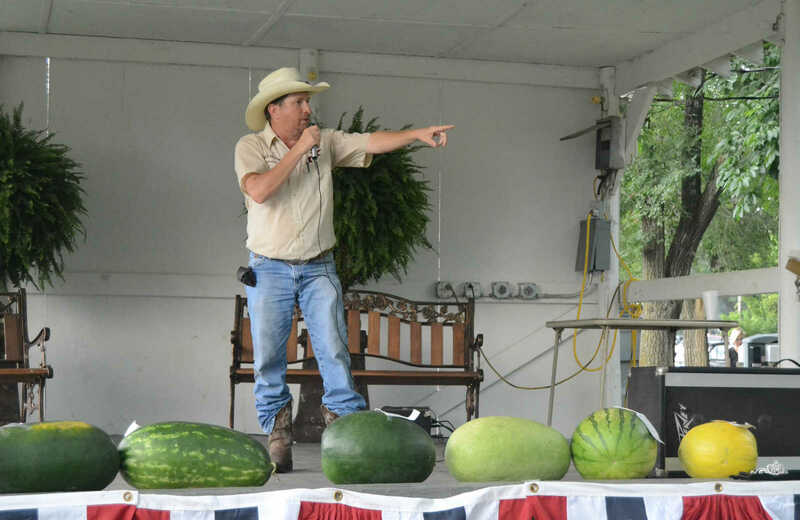 Bill Nance auctions off watermelons at the Sheldon Old Settlers Picnic. 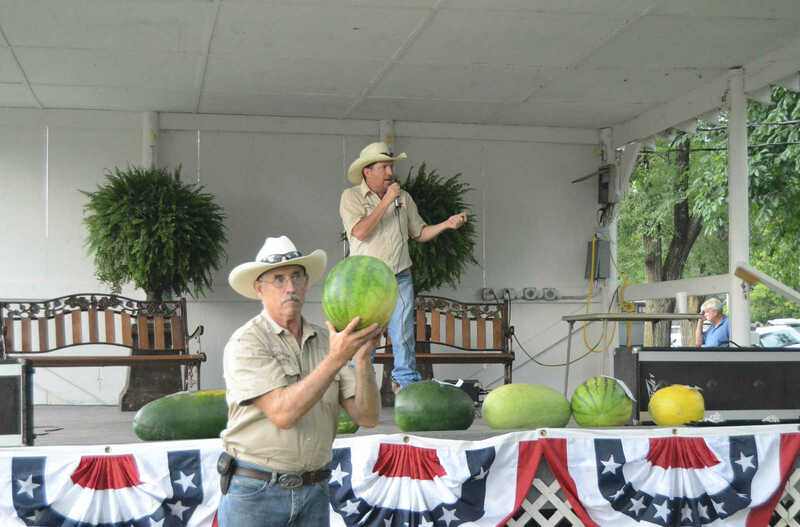 Bill Nance, stage, and Joe Haines auction watermelons at the Sheldon Old Settlers Picnic. 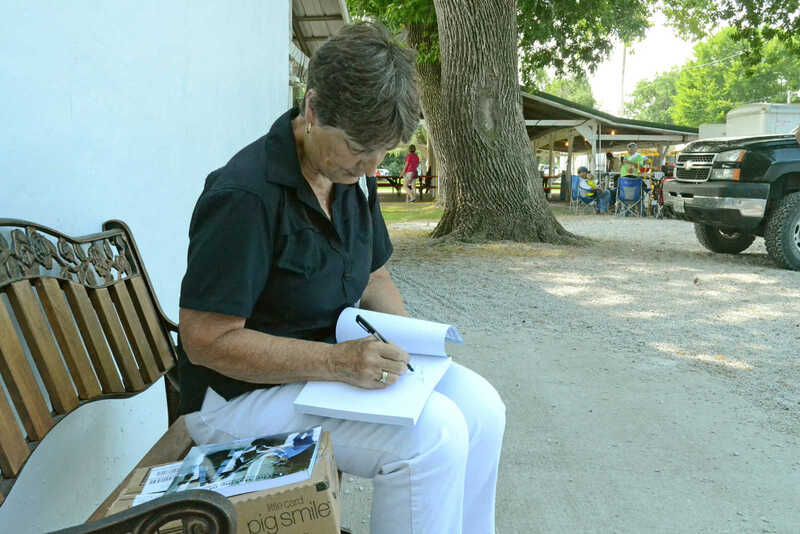 Marie Hornecker signs a copy of her book for a fan at the Sheldon Old Settlers Picnic on Saturday. 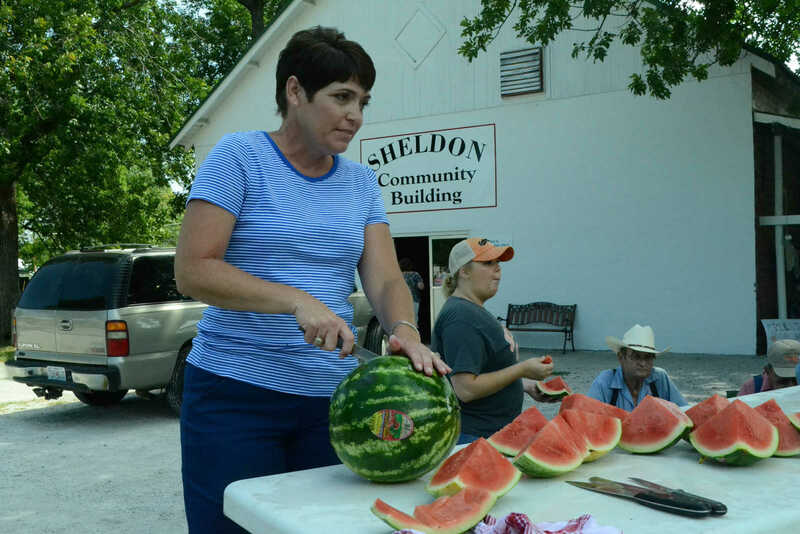 Angie Lathrop slices up watermelon for the watermelon feed at Sheldon Old Settlers Picnic on Saturday.